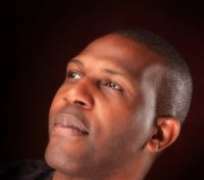 In a live Television talk show in Port Harcourt 'Gift Essence with Lady Ejiro Umukoro', Prince Tonye Princewill, the Rivers State AC Leader and gubernatorial Candidate in the 2007 gubernatorial election in Rivers State told an astonished audience that the 2007 election was a battlefield he never thought that he would have come out unscathed. “I must be frank with you; to me the 2007 guber election was not only a war but a suicidal attempt. Fighting Odili in his own conquered territory (Rivers State) to many people is like one signing his death warrant. In short, it will shock most of you people as this is the first time I am making this public- I had to write and sign my will. Many people have asked me where my family was during the election.. Though my kids were eager to join me during the election from their London base, the fact remained that as somebody who was putting his life on the line to fight a deadly system that had held my State captive and a fight that gave no guarantee of what the outcome would be, it was be unwise to allow them to come and witness my death just like that. Many people do not understand that I had to sell my car and was sleeping on the bare floor in order to execute my electioneering campaign to avoid any situation where any money bag will hold my vision for the State captive. If most of those that participated in that election were as angry as I was, PDP would not have rigged the election the way they did as I am very convinced that I won that election. I remember telling Omehia not to change the curtains in the Government House as I am convinced that he would not last that long as the Governor of Rivers State. My calculations then was that there would be a rerun of the election where I would have sent whoever is PDP's candidate to the cleaners before the intervention of the Supreme Court. As a son of an Amayanbo, I came from nowhere to contest that election the fact remains that I had no major political antecedents, which made many people conclude that Odili was the one sponsoring me. However, when I stated that Odili had nothing to show for all the billions of Naira that accrued to the State they changed that Amaechi must be the one sponsoring me. The truth remains that I only met with Amaechi on three occasions before he became the Governor of Rivers State- One in the plane, the second after a program at Meriden Hotel and the third when he invited me to join him en-route PH after his declaration by the Supreme Court as the Governor of Rivers State. There is no way Amaechi could have sponsored me when he won the nomination of his party before the K-leg wahala, I told Rivers State that they now have a choice- continuity which Amaechi at that time represents and a change which I represent through AC. It took me two weeks to assess Amaechi as he had gone through a tremendous change and I saw myself in him and decided to withdraw my case which if I had not done I would have been executing the plots of Odili and his cohorts and the Rivers State people will be the one to suffer it. Amaechi has done tremendously well but I am his most harsh critic because I dont want him to become another Odili. In the next two weeks or so, I will present to the public my assessment of his administration for two years where I will present his weak areas that they need to improve upon. Rivers State is a unique State where partnership works and where criticisms are tolerated and together we are taking the State to the next level. Through PPP efforts in the State though my ideas but without the support of the Governor most of the things we have done would have stopped at drawing board. I am very hopeful that by the time we are through most of the projects we are bringing to State over about 20,000 jobs would have being created” the Prince concluded. The audience and the moderator expressed happiness that Rivers State has a great future with the parts the Prince is playing to create jobs and assisting the present adminsration in the State to take the State to the next level.